Sydney Trains has warned commuters to expect major delays after a car crashed into rail signalling equipment in the city’s south. 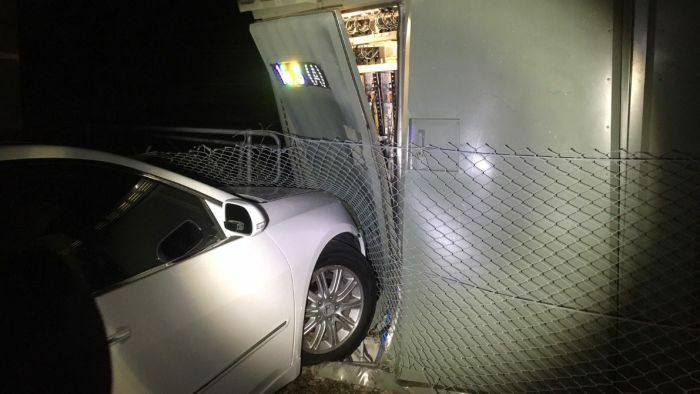 The white Honda Accord ploughed through a wire fence and into the front of the metal box at Riverwood before 2:00am this morning. Sydney Trains chief Howard Collins said the incident “badly damaged” the signal relay room. “Expect major delays on this line,” he tweeted. Sydney Trains said the airport, Leppington and inner west lines would all be affected. Extra customer service staff have been put on to help customers and the organisation said busses have been placed in strategic locations to ease congestion. By 7:00am, some airport line services were running more than half an hour late. In a statement, NSW Police said the driver had left the scene by the time officers arrived. “The vehicle has been towed away and is being forensically examined,” a spokeswoman said in a statement.